Get ready to have your funnybone tickled. 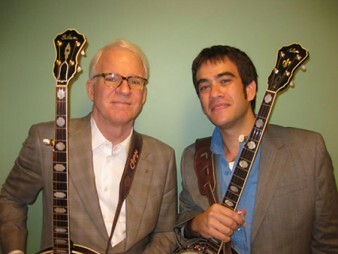 The Punch Brothers’ Noam Pikelny, who earned the first annual Steve Martin Prize for Excellence in Banjo and Bluegrass Music, is the subject of this new bluegrass mockumentary, starring Martin, Ed Helms, Gillian Welch, Bela Fleck, Earl Scruggs and more. Should banjo prodigies be allowed to sing? The debate starts here. Pikelny’s second solo album, Beat the Devil and Carry A Rail is due October 25 via Compass Records.